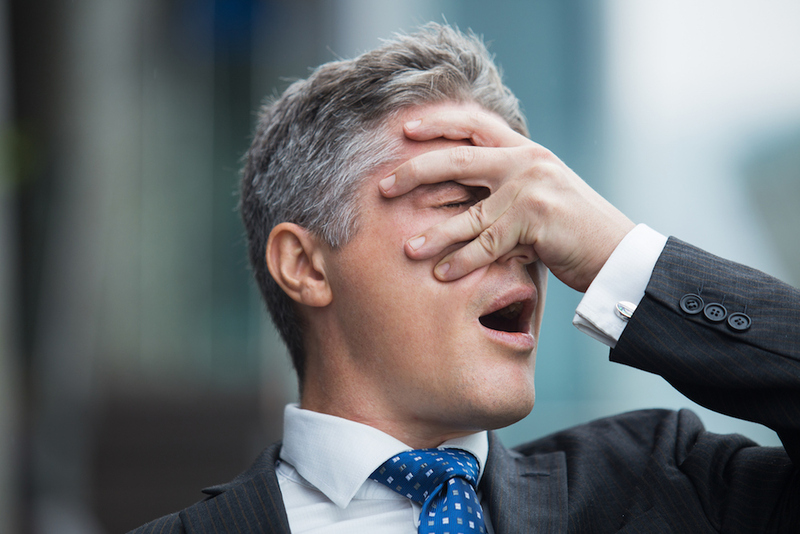 Before the roller-coaster ride of 2017 even began, Leadership Guru Suzanne Bates postulated that there would be five primary reasons for top-dog hacks over the course of the year. Some of what Bates suggested has been cause for CEO cuts for decades—poor communication, inability to build brand, lack of clear messaging and mission, slumping profits, etc. Other reasons, however, have been more prominent “digitalk” in 2017; ethics, she proffered, is proving to be a more fiery crucible for business leadership than ever before—in large part due to the public visibility of CEOs and the instantaneous flow of multimedia news via digital devices. 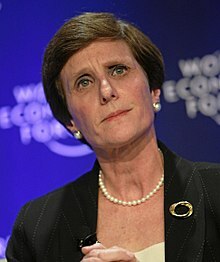 While Mondelez might not be a household name, Kraft Foods certainly is—the food giant that Irene Rosenfeld helmed back in 2006. Following a series of acquisitions, mergers, and splits, what remained was a bifurcated giant that retained the Kraft brand on one side, and the newly minted Mondelez brand on the other. Rosenfeld chose to be CEO of Mondelez at the time, but failed to plan for the societal shift towards healthy, natural foods. Their bread and butter was snack foods—including iconic names like Chips Ahoy!, Triscuit, Oreo, and Nutter Butter. And while the health food industry outstripped the growth of the overall food market, Mondelez couldn’t rely on their iconic brands to keep pace. They fell behind, struggling to invigorate profits. Lesson: Don’t lean on a once-successful brand for future profits, just because it was once successful. 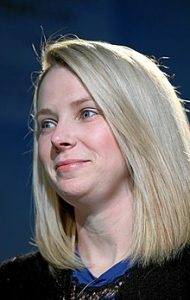 A former golden child of Google (starting in 1999 as a coder and working her way up to Director of Consumer Products), Marissa Mayer took the top job at Yahoo in July 2012. Mayer’s initial implementations at the helm were positive. She instituted an online program called PB&J that collected employee complaints and concerns. She lengthened maternity leave for mothers. And she strove to include employees in company development. But she also made some rather contentious decisions, choosing to convert remote-work employees to in-office personnel and inaugurating a bell curve ranking for performance reviews that resulted in low-end employees being automatically fired. The company endured a lawsuit because of the Mayer’s bell curve shake-up. In addition to these foibles, Mayer also failed to grow Yahoo’s business and advertising revenue. An acquisition of Tumblr to the tune of $1.1 billion brought the company little fanfare, as the social platform’s value tumbled by $230 million over three years. And without added innovation in its ranks and huge advertising losses over the course of Mayer’s tenure as CEO, the writing was on the wall. Mayer resigned in June 2017. Lesson: The lack of attention to innovation and business development speaks for itself; a company has to grow to be viable. But what’s really telling is Mayer’s management catastrophe. Before rolling out morale or performance review systems, vet them with small groups and take advice from corporate counsel on how best to proceed. Do we need to mention Travis Kalanick? Absolutely. The consummate internet entrepreneur, Kalanick suffered some serious early-day blunders before finding success with Uber. At one point in the early 2000s, he lived in his parents house, oversaw more than one soon-to-be-defunct business, and racked up more than $100,000 in back income taxes owed to the IRS. So why didn’t he learn from his failures? To some extent, he did. 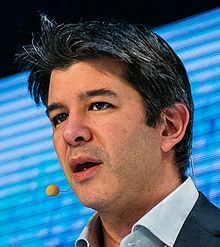 Garrett Camp, the founder of StumbleUpon and the original creator of Uber, brought Kalanick on shortly after 2009 as an advisor to the company. The two managed to build a solid foundation, and Kalanick was brought on as CEO in 2010. Within seven years, the company had spread across the globe to more than 500 cities. But while the company’s future looked bright(ish), Kalanick had not left behind the “Silicon Valley frat boy” mentality that slid under the radar during his early enterprises. In June 2017, the flood gates broke. Accusations of unchecked discrimination at Uber damned both Kalanick and top management. Venture capitalists fell to public accusers who peeled back layers of sexism and maltreatment. Inquiries were conducted. Reports issued. In August 2017, Kalanick stepped due to investor pressure—he was too big a liability. Lesson: There’s no room for sexism, racism, or prejudice of any kind in a business. Stamp it out and set the example that others should follow. Your conscience and bottom line will thank you. 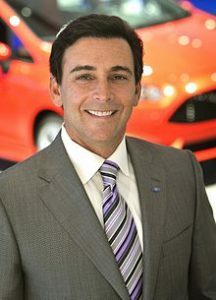 Every since the bailout in 2009, Ford Motor Company has striven to burnish its image as America’s go-to car manufacturer. Mark Fields was a part of that attempted burnishing for a short while, though ran into the rails with political shifts following the election of Donald Trump. During Trump’s campaign in 2016, Fields announced a plan to move production of the Ford Focus—once a worldwide favorite model—from Michigan to Mexico. Trump lambasted the company for the decision, using Ford as an example of everything wrong with the North American Free Trade Agreement (NAFTA). Field waffled. Before Trump took office, he announced the cancellation of a $1.6 billion factory in Mexico, which shook the confidence of Ford’s board of directors. The ripple effect grew. Stock prices fell by more than 35%. And Fields could no longer restore the board’s confidence—or the confidence of the public. He was gone by May 2017. Lesson: Know your brand, know your strategy, and know the will of the board. Don’t act alone. The newspapers called Richard Smith’s exit from Equifax a “retirement.” But the company’s data breach, putting as many as 143 million people at risk, was really the impetus for his departure. Without question, the sudden resignation of CIO and CSO fell in line with Smith’s own final hours, prompted by the same catastrophic event. But what was truly egregious was his disgustingly generous “retirement package”: $90 million. Yes, as a condition of his retirement, Smith forfeited rights to a 2017 bonus (usually a cool $3 million), but his shares in Equifax stock were still allowed to vest, giving him a healthy nest egg for post-Equifax enjoyment. Just the same, the rendering of Smith’s departure left a bad taste in the mouth of many who pinned the company’s security lapse squarely on its front-facing CEO. Lesson: The court of public opinion (presided by everyday consumers) has little empathy for CEOs who put consumers’ thousands at risk while holding on to multi-millions. If a sacking is needed—or at least an investigation into possible wrongdoing—focus on sharing the truth with the consumer, not compensating your erstwhile CEO. Jeff is the Associate Editor at Early to Rise, a small business development and self-improvement site. In a past life, he was a food journalist.